Our species is ecologically unique in its ability to occupy, and specialize in, a variety of different environments as homo sapiens began to colonize the entire planet between approximately 300 and 60 thousand years ago. © Image by John Klausmeyer, concept by Brian Stewart, University of Michigan. Aerial view of reindeer herd from zanskar / iStock. A new study argues that the greatest defining feature of our species is not ‘symbolism’ or dramatic cognitive change, but rather its unique ecological position as a global ‘general specialist.’ Our species’ ability to occupy diverse and ‘extreme’ settings around the world stands in stark contrast to the ecological adaptations of other hominin taxa, and may explain how our species became the last surviving hominin on the planet. The paper, by scientists from the Max Planck Institute for the Science of Human History and the University of Michigan suggests investigations into what it means to be human should shift from attempts to uncover the earliest material traces of ‘art,’ ‘language,’ or technological ‘complexity’ towards understanding what makes our species ecologically unique. In contrast to our ancestors and contemporary relatives, our species not only colonized a diversity of challenging environments, including deserts, tropical rainforests, high altitude settings, and the palaeoarctic, but also specialized in its adaptation to some of these extremes. Although all hominins that make up the genus Homo are often termed ‘human’ in academic and public circles, this evolutionary group, which emerged in Africa around 3 million years ago, is highly diverse. Some members of the genus Homo (namely Homo erectus) had made it to Spain, Georgia, China, and Indonesia by 1 million years ago. Yet, existing information from fossil animals, ancient plants, and chemical methods all suggest that these groups followed and exploited environmental mosaics of forest and grassland. It has been argued that Homo erectus and the ‘Hobbit,’ or Homo floresiensis, used humid, resource-scarce tropical rainforest habitats in Southeast Asia from 1 million years ago to 100,000 and 50,000 years ago, respectively. However, the authors found no reliable evidence for this. It has also been argued that our closest hominin relatives, Homo Neanderthalensis – or the Neanderthals – were specialized to the occupation of high latitude Eurasia between 250,000 and 40,000 years ago. The base for this includes a face shape potentially adapted to cold temperatures and a hunting focus on large animals such as woolly mammoths. Nevertheless, a review of the evidence led the authors to again conclude that Neanderthals primarily exploited a diversity of forest and grassland habitats, and hunted a diversity of animas, from temperature northern Eurasia to the Mediterranean. In contrast to these other members of the genus Homo, our species – Homo sapiens – had expanded to higher-elevation niches than its hominin predecessors and contemporaries by 80-50,000 years ago, and by at least 45,000 years ago was rapidly colonizing a range of palaeoarctic settings and tropical rainforest conditions across Asia, Melanesia, and the Americas. Furthermore, the authors argue that the continued accumulation of better-dated, higher resolution environmental datasets associated with our species’ crossing the deserts of northern Africa, the Arabian Peninsula, and northwest India, as well as the high elevations of Tibet and the Andes, will further help to determine the degree to which our species demonstrated novel colonizing capacities in entering these regions. This ecological ability may have been aided by extensive cooperation between non-kin individuals among Pleistocene Homo sapiens, argues Brian Stewart, co-author of the study. “Non-kin food sharing, long-distance exchange, and ritual relationships would have allowed populations to ‘reflexively’ adapt to local climatic and environmental fluctuations, and outcompete and replace other hominin species.” In essence, accumulating, drawing from, and passing down a large pool of cumulative cultural knowledge, in material or idea form, may have been crucial in the creation and maintenance of the generalist-specialist niche by our species in the Pleistocene. The authors are clear that this proposition remains hypothetical and could be disproven by evidence for the use of ‘extreme’ environments by other members of the genus Homo. However, testing the ‘generalist specialist’ niche in our species encourages research in more extreme environments that have previously been neglected as unpromising for palaeoanthropological and archaeological work, including the Gobi Desert and Amazon rainforest. The expansion of such research is particularly important in Africa, the evolutionary cradle of Homo sapiens, where more detailed archaeological and environmental records dating back to 300-200,000 years ago are becoming increasingly crucial if we are to track the ecological abilities of the earliest humans. It is also clear that growing evidence for hominin interbreeding and a complex anatomical and behavioural origin of our species in Africa highlights that archaeologists and palaeoanthropologists should focus on looking at the environmental associations of fossils. “While we often get excited by the discovery of new fossils or genomes, perhaps we need to think about the behavioural implications of these discoveries in more detail, and pay more attention to what these new finds tell us about new the passing of ecological thresholds” says Stewart. 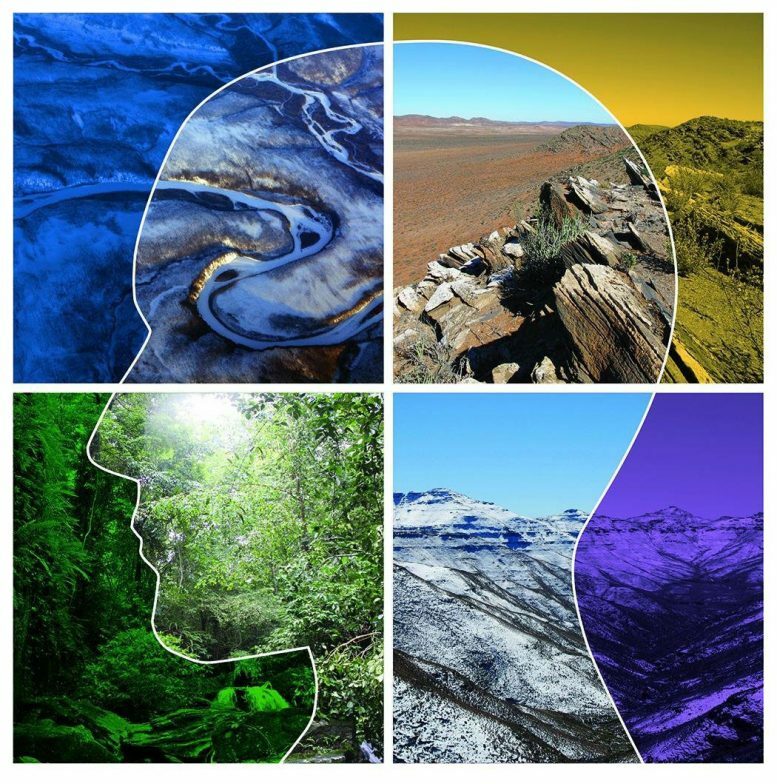 Work focusing on how the genetics of different hominins may have led to ecological and physical benefits such as high-altitude capacities or UV tolerance remain highly fruitful ways forward in this regard. “As with other definitions of human origins, problems of preservation also make it difficult to pinpoint the origins of humans as an ecological pioneer. However, an ecological perspective on the origins and nature of our species potentially illuminates the unique path of Homo sapiens as it rapidly came to dominate the Earth’s diverse continents and environments,” concludes Roberts. The testing of this hypothesis should open up new avenues for research and, if correct, new perspectives as to whether the ‘generalist specialist’ will continue to be an adaptive success in the face of growing issues of sustainability and environmental conflict. 3 Comments on "Scientists Reveal Homo Sapiens’ Secret of Success"
Wake up boys…..modern human beings have been on Earth far far longer than accepted by Darwinists with their heads buried deep in the mud…..I refer you all to the videos by “Micheal Cremo’s Forbidden Archaeology” found on YouTube……for he has genuine scientific evidence proving this fact….in the near future his scientifically accurate evidence will soon force a real change in the thinking of the dimwits who are controlling the suppression of the true facts regarding the existence of anatomically modern human beings existing far beyond the accepted time period of just a couple of hundred thousand years…..awake and arise to the real truth here….